His Excellency The Governor-General Sir S. W. Tapley Seaton, GCMG, CVO, QC, JP returned to the Federation after a weekend in Grenada where he attended several activities of the University of the West Indies Open Campus. The first Ceremony was The Principal’s Cocktail Reception in honour of the 2017 Honorary Graduand Edwidge Danticat a renowned novelist hailing from Haiti. On Saturday morning His Excellency witnessed the Ceremony for the Presentation of Graduates 2017 of the Open Campus. Several of our Nationals received their Certificates from the recently installed Chancellor of the University of the West Indies, Mr. Robert Bermudez. Later that evening His Excellency was a guest of honour at a Book Launch featuring a publication entitled ‘Perpectives on the Grenada Revolution 1979-1983’. At this ceremony His Excellency Sir Tapley and Dame Cecile La Grenade, Governor-General of Grenada received the inaugural Pelican Awards. 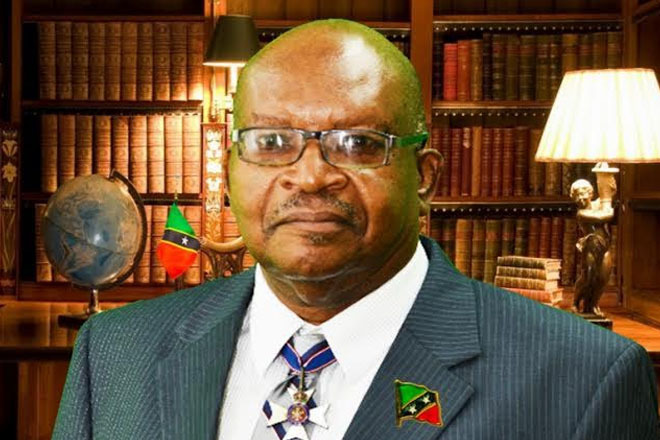 The Governor-General’s Award is inscribed as follows:- ‘Inaugural UWIAA Open Campus Pelican Awardee H. E. Sir S. W. Tapley Seaton, GCMG, CVO, QC, JP in recognition of your contribution to The UWI, St. Kitts & Nevis and The Caribbean – October 14, 2017. During His Excellency’s absence abroad, His Excellency Mr. Michael Morton CBE, JP, Governor-General’s Deputy represented The Governor-General at several functions in Nevis and St. Kitts.